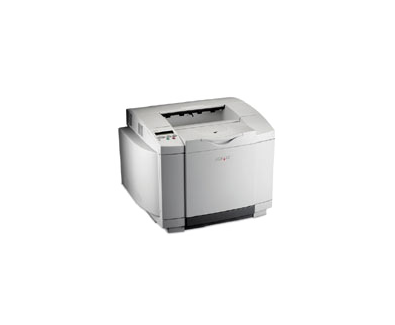 The high quality, small workgroup colour laser printer for price-sensitive business users. MarkVision print management software comes standard with the Lexmark C510. The Lexmark C510 allows you to print complex colour jobs quickly with speeds of 30 ppm in monochrome, 8 ppm in colour and fast time to first print. The Lexmark C510 allows you to create professional, high quality colour documents with 2400 Image Quality. The Lexmark C510 has a 500 MHz processor based controller for less network traffic and faster throughput.